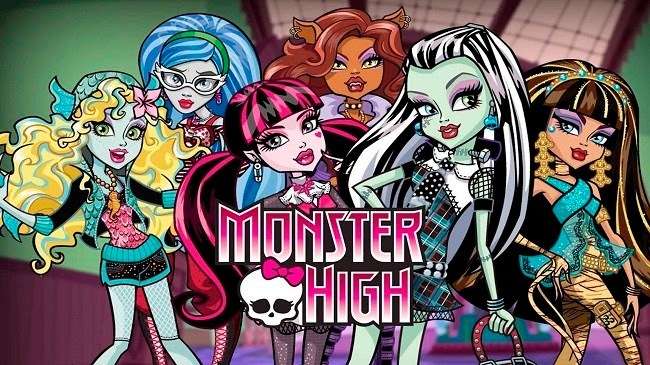 Monster High's members have become some of the favorite children and youth's characters. This original group is formed by the most famous monsters and villains's young sons and daughters. 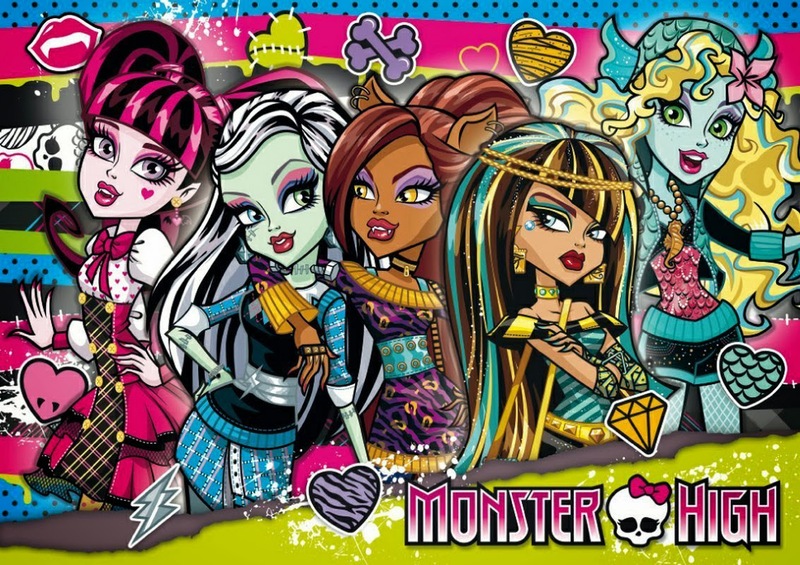 If you like Monster High, or know someone who does, bellow you will find a selection of interesting images and pictures about Draculaura (Dracula's daughter), Frankie Stein (Frankenstein's daughter), Clawdeen Wolf (Werewolf's daughter), Cleo de Nile (the daughter of the mummy), Ghoulia (daughter of the zombie), Lagoona Blue (daughter of the sea monster) and many other young monsters. 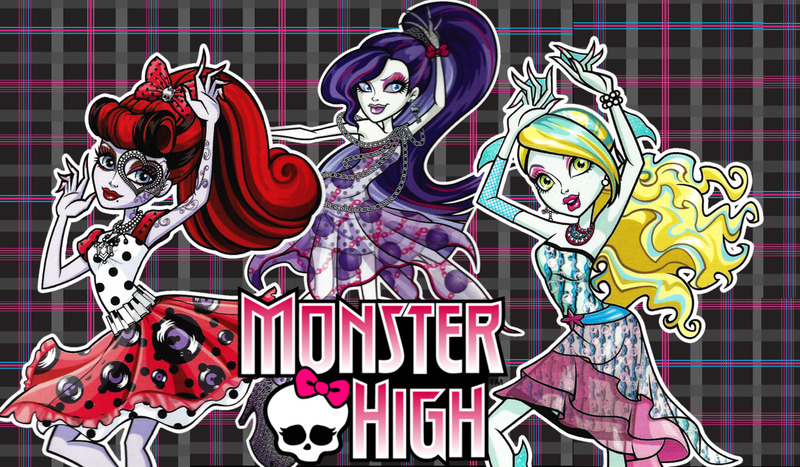 Monster High: Lagoona, Draculaura, Frankie, Clawdeen, Cleo and Ghoulia. 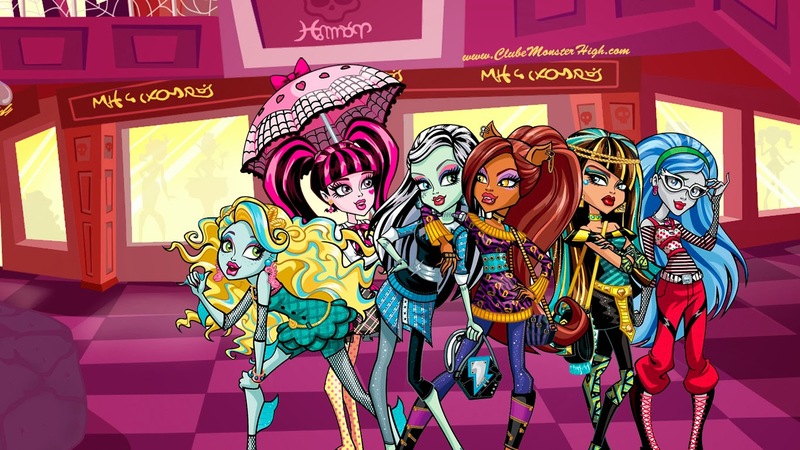 Monster High: Lagoona, Ghoulia, Draculaura, Clawdeen, Frankie and Cleo. 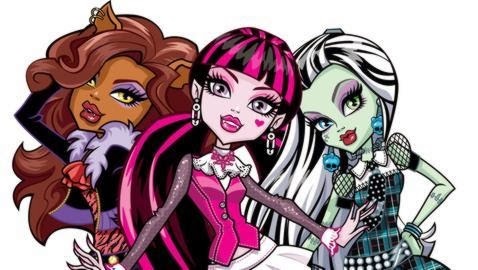 Monster High: Draculaura, Frankie, Clawdeen, Cleo and Lagoona. 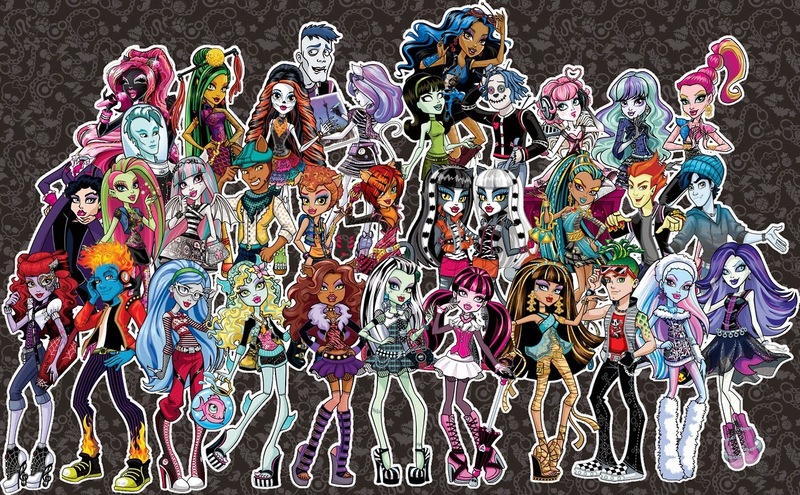 Here we have all Monster High together. 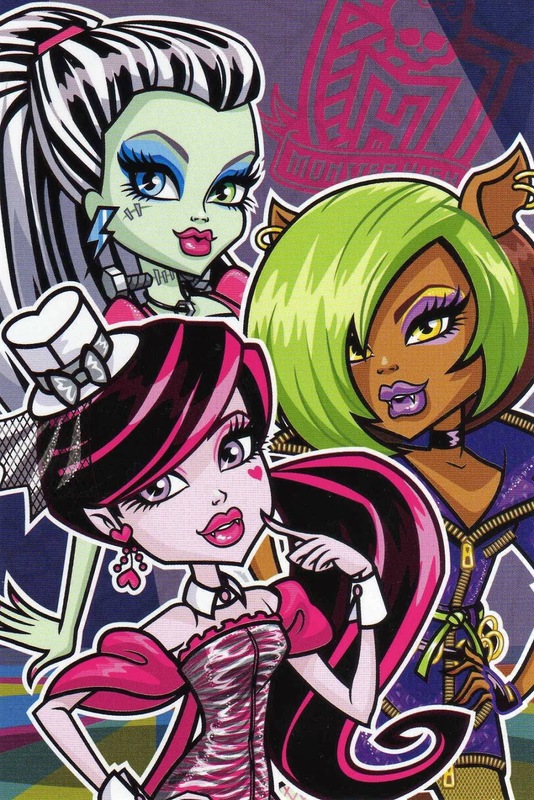 Monster High: Draculaura, Toralei Stripe (daughter of the werecat) and Draculaura. 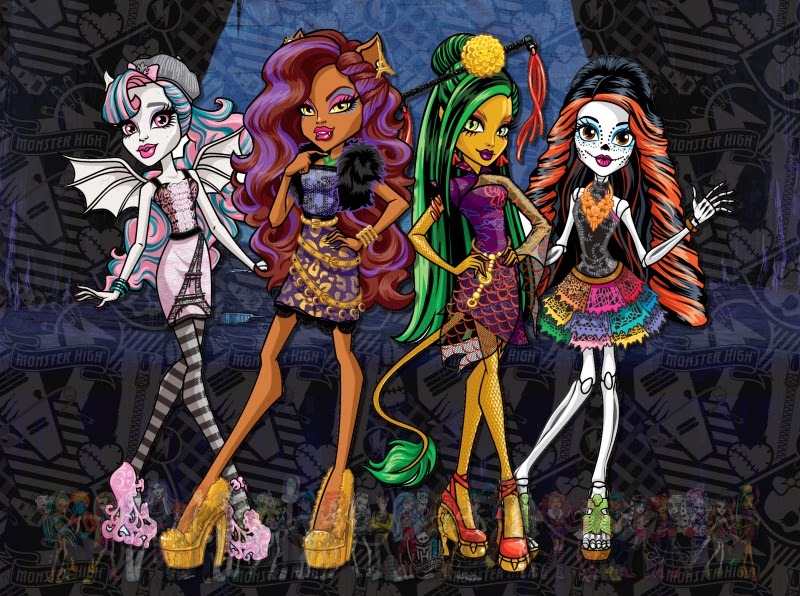 Monster High: Lagoona, Clawdeen, Nefera de Nile (daughter of the mummy) and Skelita (daughter of the skeleton). 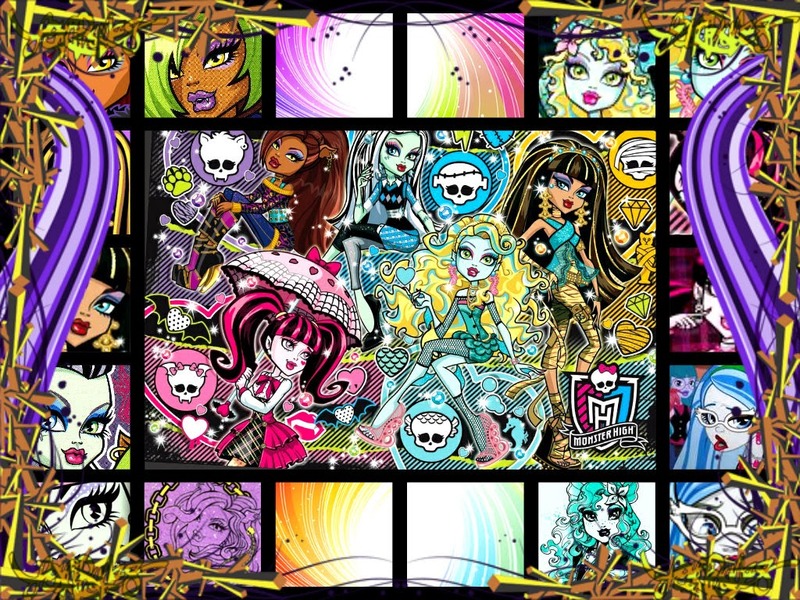 Here we have a collage of Monster High. Monster High: Clawdeen, Draculaura and Frankie.